When Adolf Hitler invaded the Soviet Union in the summer of 1941 with the over three million men he expected a swift and stunning victory. But his bold invasion would ground to a halt when the Russian winter immobilized his troops at the forested outskirts to Moscow. By the end of 1941, the entire German Army suffered staggering casualties due to the harsh Russian winter and stiffening Red Army resistance. Hitler's decision to resume offensive operations on the Eastern Front crystallized in the early months 1942, after his economic advisers convinced him that Germany could not continue the war unless it captured the vital oil supplies, wheat, and ore from the Soviet Union's Caucasus region. And without the oil from the Caucasus region the Soviet Union's war maching would essentially be dealt a knock out blow, that ultimately spelled defeat for Stalin and the Red Army. The capture of Stalingrad was vital, because it commanded the land bridge between the Volga and the Don Rivers which opened the gateway to the vast oil fields near the Caspian Sea. Also if Stalingrad could be captured it would enable the German Army to attack Moscow from behind giving them a military advantage. This vibrant city with its huge weapons factories and beautiful boulevards along the Volga was the show piece of the Soviet Union. The Volga River, which flows through the city, was also an important shipping route connecting the western European part of the Soviet Union with its distant eastern regions. The battle would become a titanic struggle between two of history's most infamous dictators, Adolf Hitler and Joseph Stalin, deciding the final victor on the Eastern Front. Stalin would deploy a strategic reserve of over a million men, hidden deep in the Russian countryside, to surround and destroy what may have been the best army Germany ever put in the field. The Soviet reserve armies committed to the battle for Stalingrad in the spring of 1942 were unknown to everyone but those in Stalin's most inner circle. Completely unknown to the German High Command, unknown to Churchill and Roosevelt, what is still more astonishing, unknown to some members of the Stavka staff (Soviet High Command). 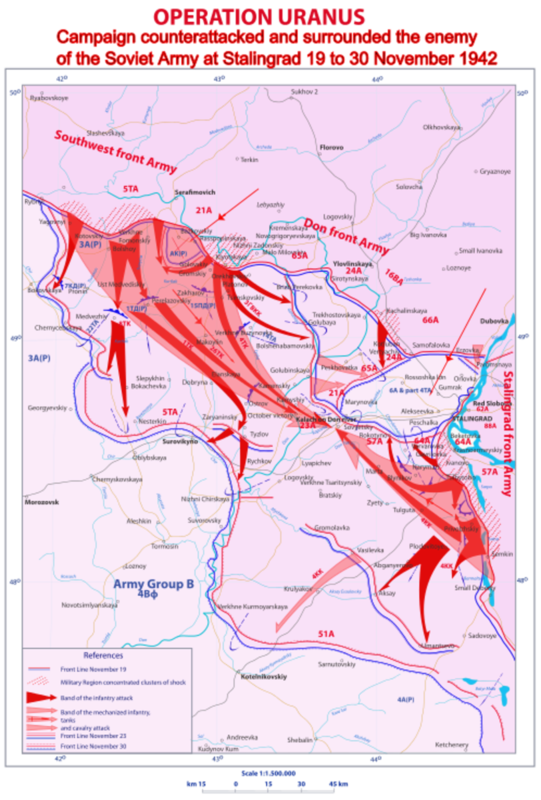 The Soviet reserve armies consisted of ten field armies scattered behind the upper Don and along or near the middle and upper Volga. 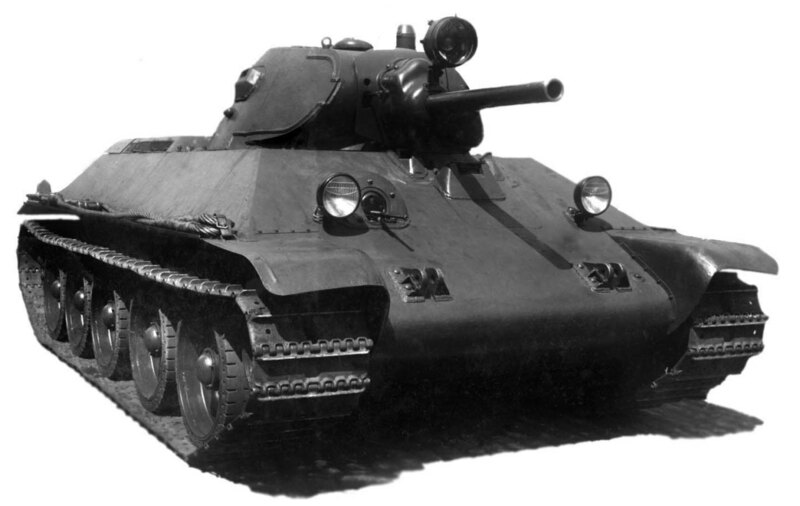 One of those armies was the 3rd Tank Army which it was much larger than an average Soviet army. 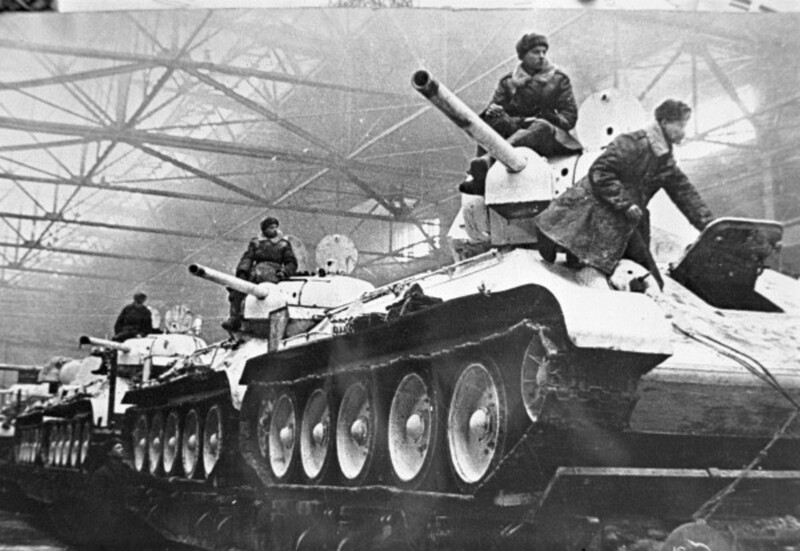 It was the most powerful single formation in the Red Army with over 640 tanks. Another elite formation in reserve was the 1st Guards Army, a veteran formation, that earned the title and higher pay that went with it because it was made up of troops who have fought effectively against the Germans in previous battles. Altogether, this secret reserve was in numbers equal to half of all German forces on the eastern front in the spring of 1942. A reserve that was three times larger than the entire American military in the summer of 1939, counting Regular Army, Army Reserves, National Guard, Regular Navy, Navy Reserves, and Marine Corps. 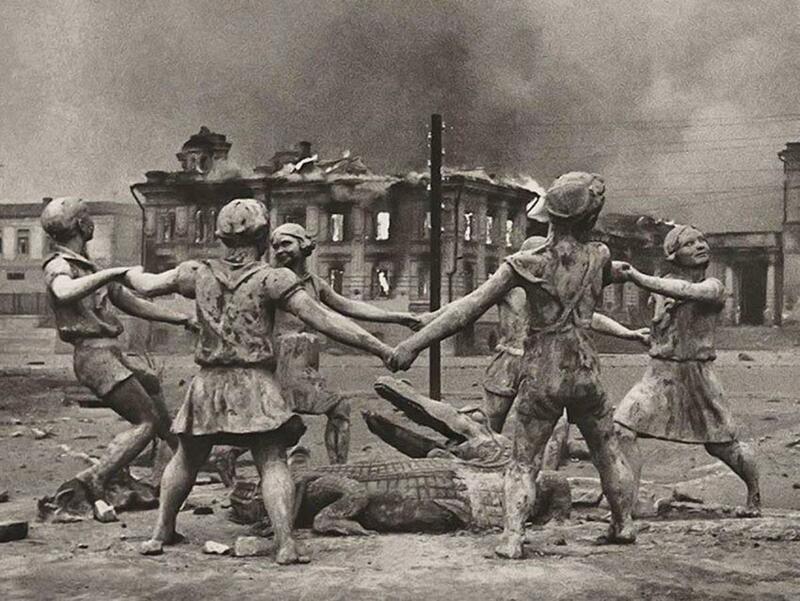 The battle for Stalingrad was marked with a level of brutality unequaled in human history. The German soldiers who fought at Stalingrad, bitterly named this type of warfare Rattenkrieg ("rat war"). The battle was essentially like the First World War only with better weapons. 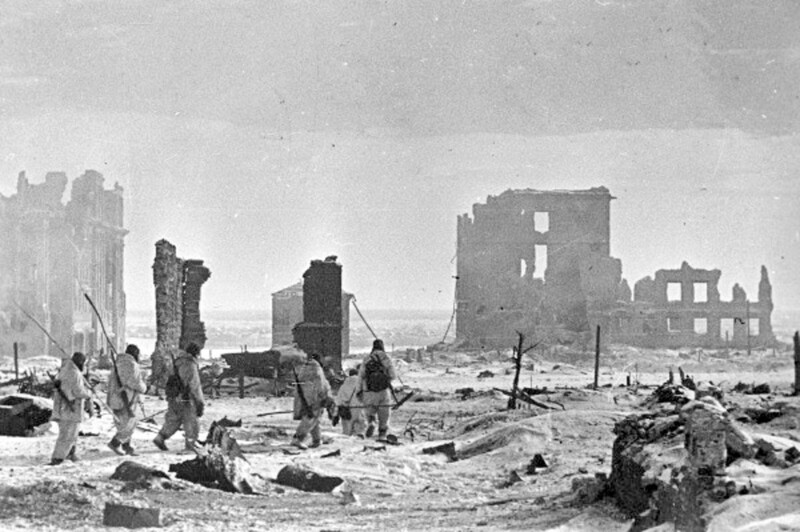 In its way, the fighting in Stalingrad was even more frightening than the indifferent slaughter at Verdun. The battle became a horror of company-size action much of it hand to hand. Field artillery, tanks, and self-propelled guns blasted holes in the walls of re-enforced concrete buildings. Flame throwers spewed burning oil through cellar windows. A suffocating cloud of dust and smoke hung in the air above the battlefield from crushed stone and mortar that choked soldiers and civilians alike. The close- quarter combat ruined buildings, bunkers, cellars and sewers. It possessed a savage intimacy which appalled German generals, who suddenly felt they were rapidly losing control over the battle. " The enemy is invisible," wrote on German general to a friend. " Ambushes out of basements, wall remnants, hidden bunkers and factory ruins began to cause heavy casualties among our troops." House-to-house fighting was widespread. There were times when the Soviets held the kitchen, and the Germans the living room, or the Germans held the first and second floors, the Soviets held the third and fourth floors. At night flaming houses and factories reddened the sky. Whole streets disappeared. German commanders openly admitted that Red Army soldiers were experts at camouflage, but few would acknowledge that it was German aircraft which had produced the ideal conditions for the defenders. 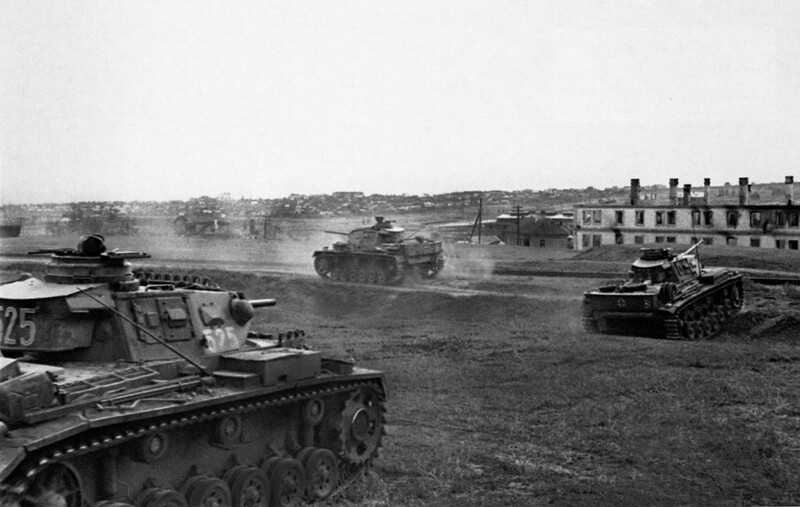 On the 23rd of August 1942, tanks of the 16th Panzer Division halted on the banks of the Volga. Many German soldiers thought the war against the Red Army was won. To their right, Stalingrad blazed from the first of General von Richthofen's air raids on the city. Hitler had told General Paulus that with his Sixth Army, the most powerful in the Wehrmacht, he could "storm the heavens." 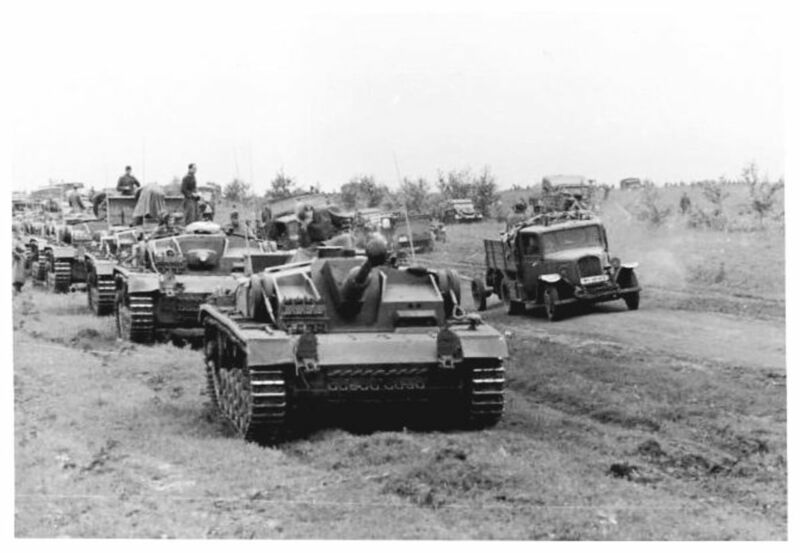 The German Sixth Army with nearly a third of a million men, combined with two corps from the Fourth Panzer Army was the largest and best equipped formation in the Wehrmacht. 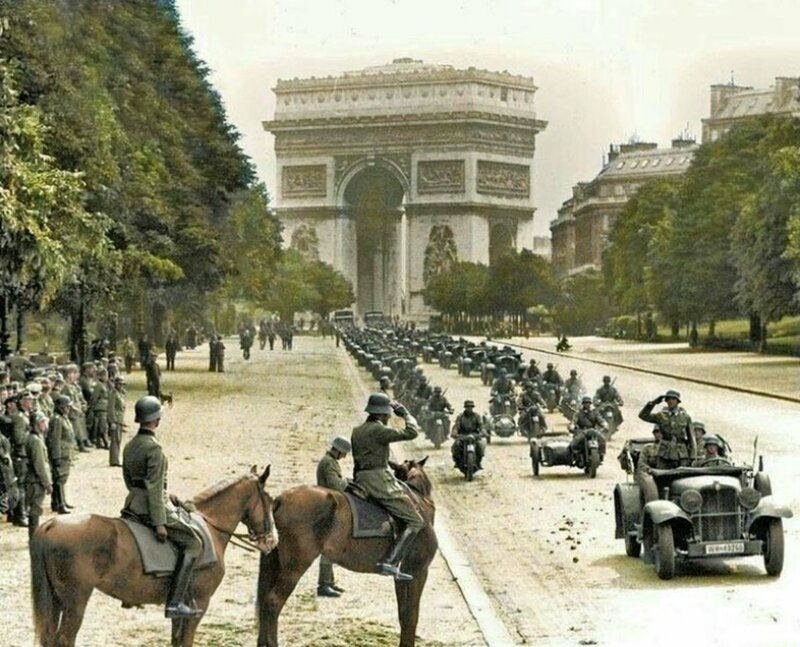 The Sixth Army had marched victoriously through Poland and France never knowing defeat. The sudden powerful German strike into the northern suburbs of Stalingrad would split the Russian armies defending Stalingrad, cutting their communications along the Volga, and rattle the Kremlin. 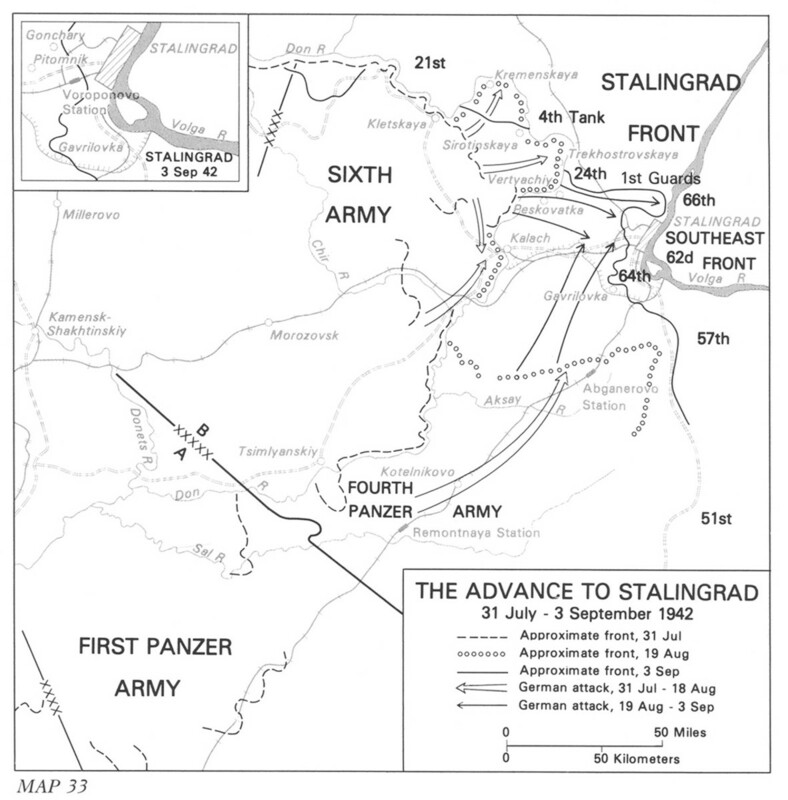 It had a decisive impact on the course of the summer campaign that was not immediately clear at Hitler's headquarters near Vinnitsa. At first sight it looked like a brilliant stroke, that would lead to capture of the city by Army Group B, and directly add needed support to Army Group A that was beginning to run into trouble in the northern Caucasus. But instead it would narrow the field of battle to an area no larger than the state of Delaware where the war of movement, a German specialty, would give way to a war of attrition, a Russian specialty. A third drawback, in committing the 6th Army to the Volga, the German High Command compelled Stalin to release the bulk of his forces he was holding our for an emergency. By the end of the week, Stalin would begin to activate his reserve armies, preparing the Red Army for a massive counterattack from the north, which would eventually spell doom for the German Sixth Army. For the citizens of Stalingrad, Sunday the 23rd of August 1942, was a day which will never be forgotten. The model city of which they were so proud, with its gardens along the high west bank of the Volga, and the tall white apartment buildings which gave the place a modern, cubist look, became an inferno. 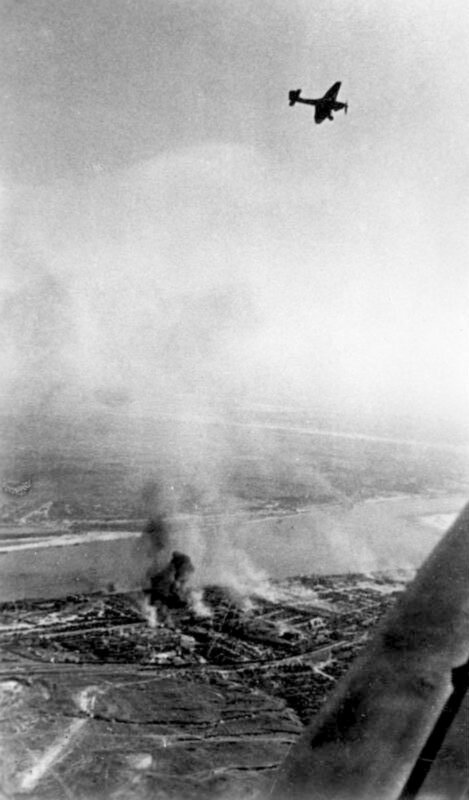 After the first heavy air raids, at nights from it looked as though the whole city and the river itself was on fire. There were explosions everywhere. 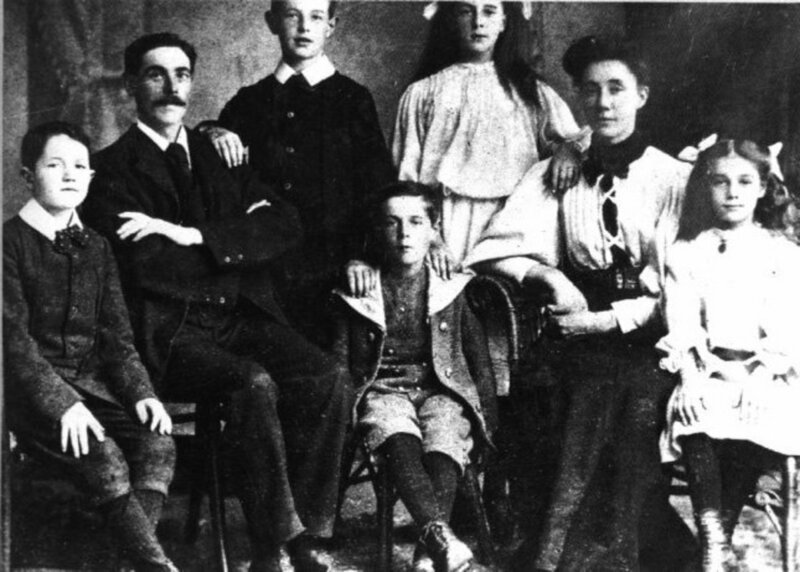 Splintered rafters and crumpled plaster of buildings crashed three or four stories into cellars. There were incoherent shouts from men and women who were running to escape the horror, that was now the reality of this flaming hell that was Stalingrad. At the time of the battle, Stalingrad was the Soviet Union's third largest city, sprawling along a narrow band of land twenty miles long and five miles deep on the Volga riverfront. Richthofen's aircraft began to carpet-bomb in relays, "and not just industrial targets, but everything, said one student present that day. The huge petroleum-storage tanks on the banks of the Volga were also hit. A ball of flame rose about 1,500 feet into the sky, and over the following days, the column of black smoke could be seen from over two hundred miles away. Blazing oil spread across the Volga. Bombs destroyed the telephone exchange and the waterworks, and the main Stalingrad hospital. The attack on the hospital so terrorized the doctors and nurses that they ran away, abandoning their patients, some of whom were left for days without food or care. 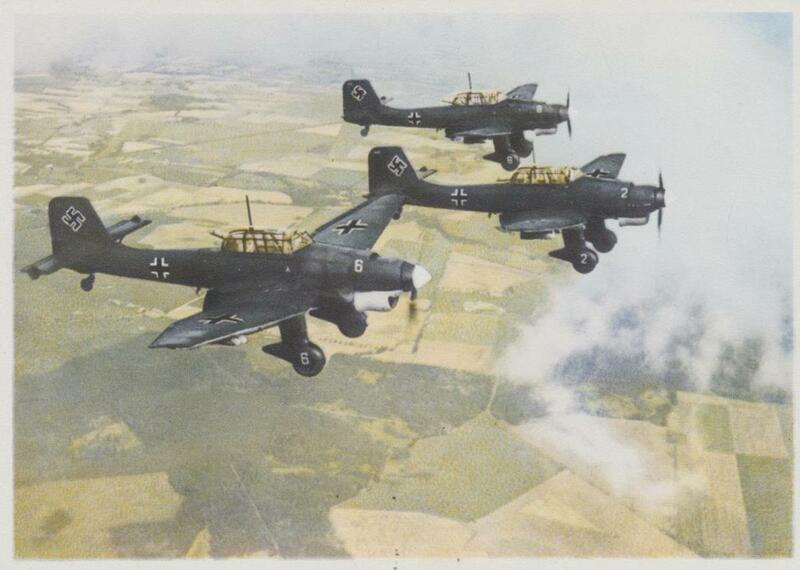 In the afternoon, the panzer crews looked up, squinting against the sunlight, to see waves of Junker 88 and Heinkel III bombers, as well as a squadron of Stukas, in tightly packed groups, flying towards Stalingrad. A mass of shadows passed across the steppe. 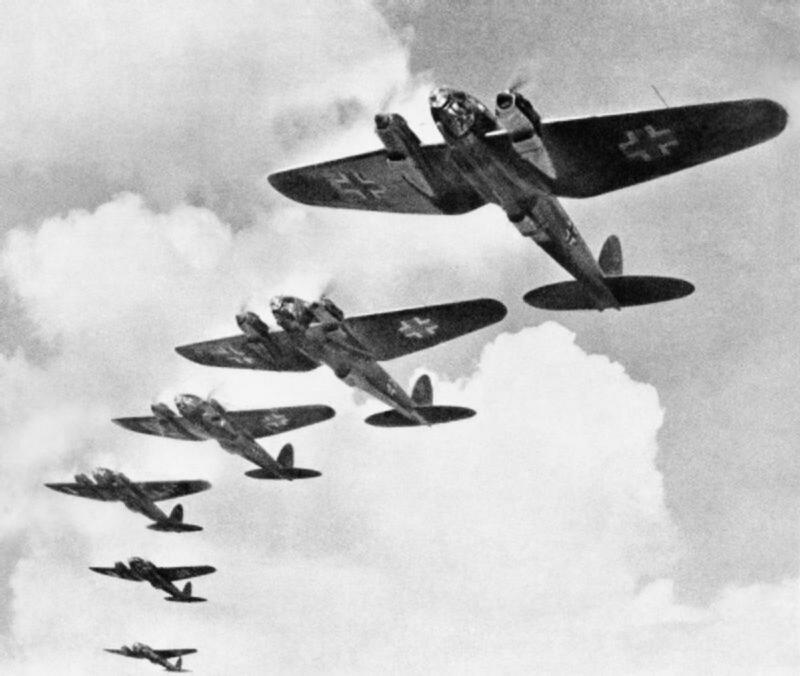 On their return, the Stuka pilots sounded their sirens to greet the advancing troops. The panzer crews waved back with delight. In the distance, they could already see the columns of smoke rising from the city. General Paulus's headquarters would brag that Stalingrad, the city of Stalin, the starting-point of the Russian revolution would fall beneath his feet. The most horrendous toll fell upon the city of Stalingrad's inhabitants who were forced to call it home during the battle. Of Stalingrad's estimated 850,000 residents in 1940, only 1,500 would remain alive in the burning pile of rubble that once was Stalingrad after the battle. Many residents would die from starvation or drinking polluted water. More civilians died in the battle of Stalingrad than the nuclear bombings of Hiroshima and Nagasaki. Although Soviet officials had considered evacuating children and nonessential citizens. Joseph Stalin their leader, decided to refuse evacuation of Stalingrad's citizens across the Volga River. This he felt, would force his troops, especially the locally raised militia and Red Army soldiers, to defend the city even more desperately. 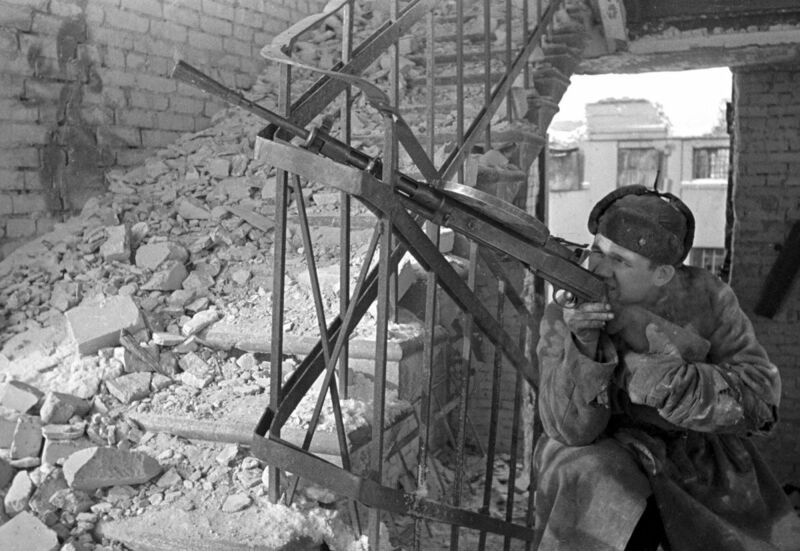 Soviet snipers concealed themselves in heaps of rubble created during the Battle of Stalingrad inflicting heavy casualties on the Germans. 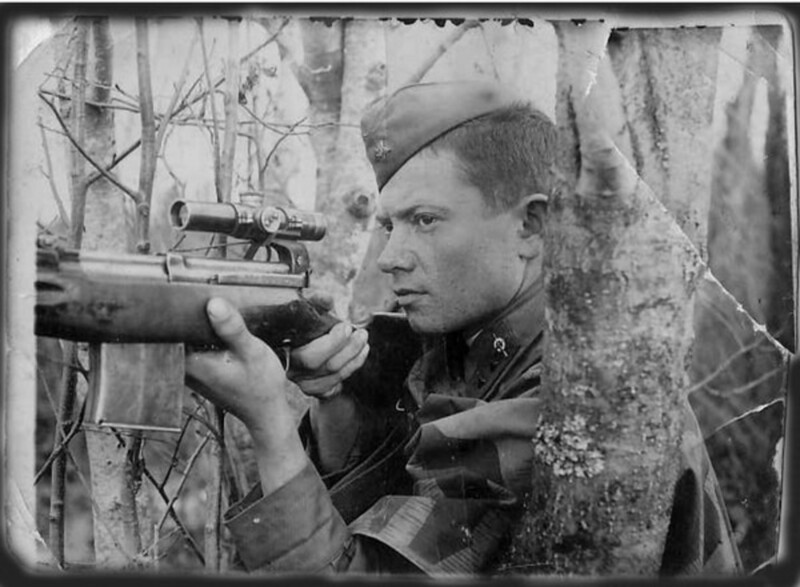 The most successful sniper was Ivan Mikhailovich Sidorenko of the Soviet 1122nd rifle regiment, who made approximately 500 kills by the end of the war. 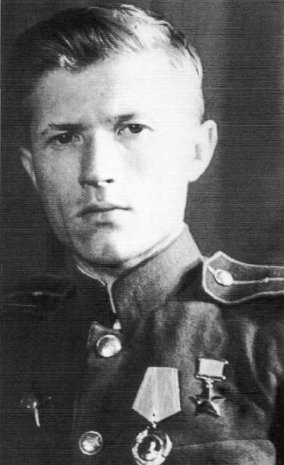 Vasiliy Grigor ' yevich Zaytsev was credited with 242 kills during the battle. 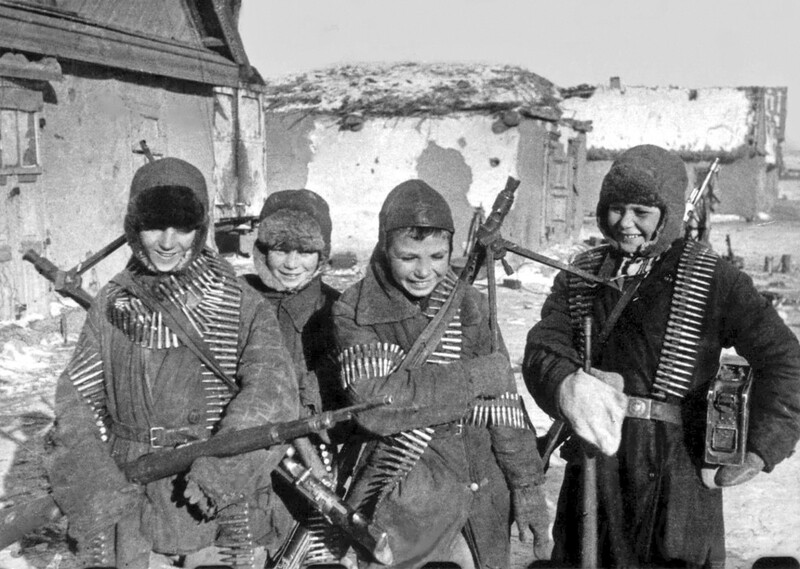 Snipers from the Siberian 284th Rifle Division would decimated the German troops who occupied Stalingrad. 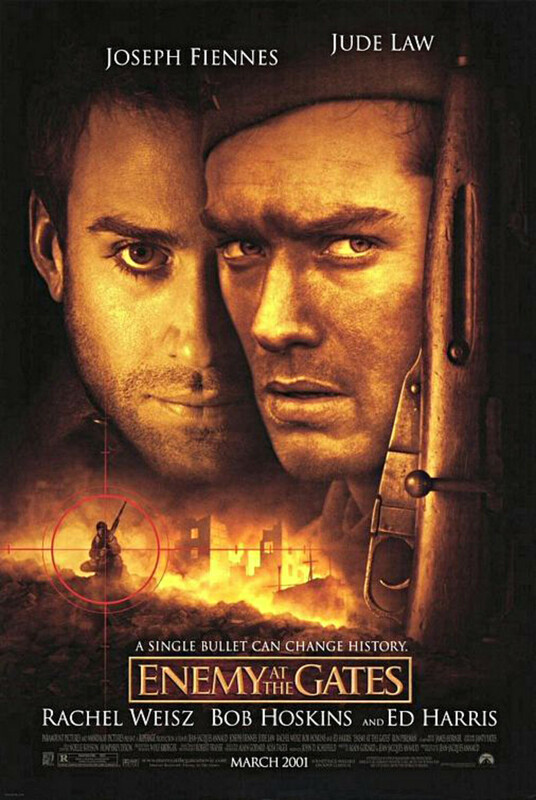 Vasily Zaytsev traveled a meandering path to the role of sniper. Born in 1915, he grew up in the Chelyabinsk region east of the Ural Mountains, in Western Siberia. Zaytsev got his first rifle at the age of twelve. But only his grandfather saw the small boy as a born hunter, and invited the youngster along when he shouldered his rifle and went stalking goats and wolves. In February 1937, at the age of 22, he enlisted in the Soviet Navy, and was assigned as a petty officer in the 4th Submarine Brigade at the Pacific port of Vladivostok. Zaytsev was a quartermaster when word came in August 1942 that the Germans were advancing on Stalingrad. 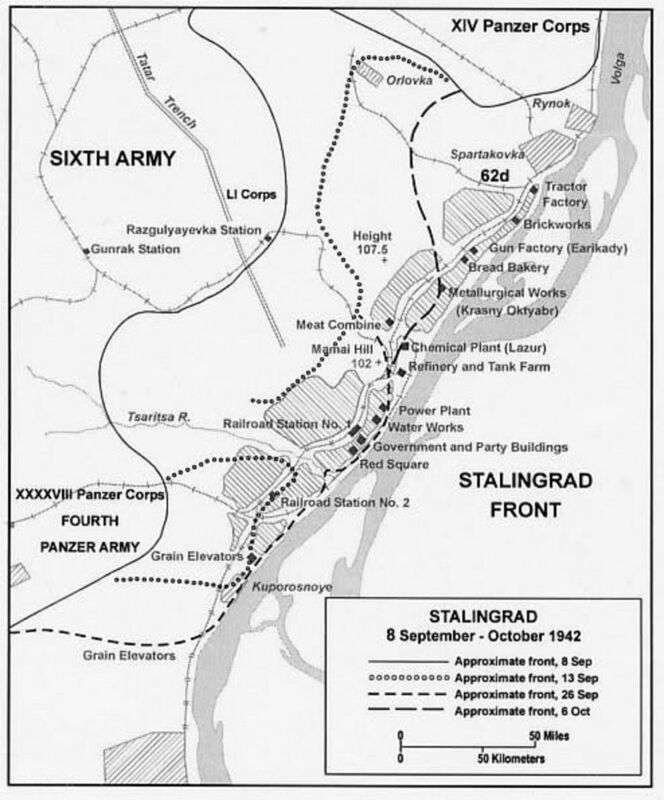 A key center for industry and weapons production, Stalingrad extended like a ribbon 25 miles along the Volga's west bank. The factory district in the north included the Red October Steelworks, which produced 10% of Soviet steel, and the Dzerzhinsky tractor plant, which was a major producer of T-34 tanks in the Soviet Union. 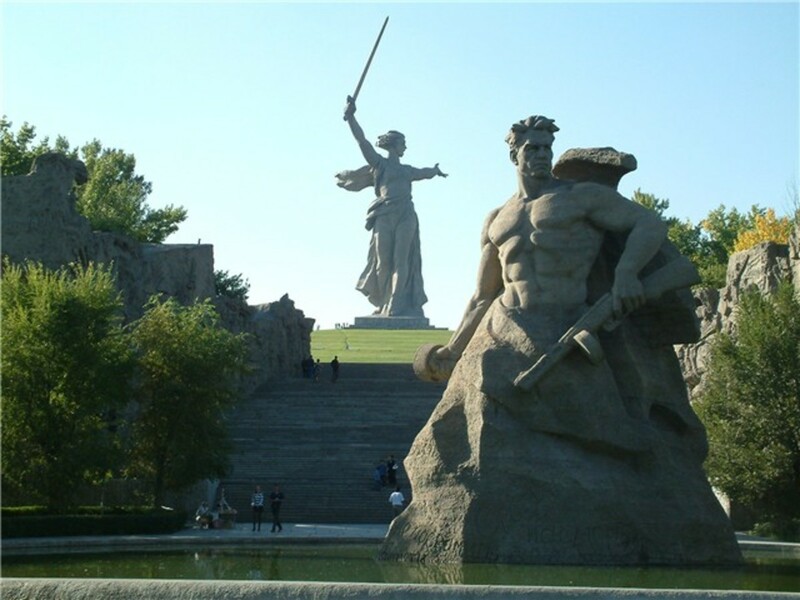 Stalingrad was a city that had been reborn during the prewar Soviet industrialization campaign. In 1930 Stalingrad had around 150,000 residents, by the time war broke out, the population of the city had swelled to over 850,000 citizens, not including more than 100,000 refugees who were fleeing the advancing German war machine. Four thousand miles to the east in Vladivostok, men of the 4th Submarine Brigade, which included Zaytsev, volunteered to join in the epic struggle at Stalingrad. On the way to Stalingrad Zaytsev pleaded to be a rifleman, his platoon leader consented to his request. The train carrying Zaytsev's platoon stopped in Burkovka, 10 miles east of Stalingrad, from the village the soldiers marched to the River Volga's east bank. Across the river the entire city of Stalingrad appeared to be on fire as a think cloud of black smoke hovered over the city. 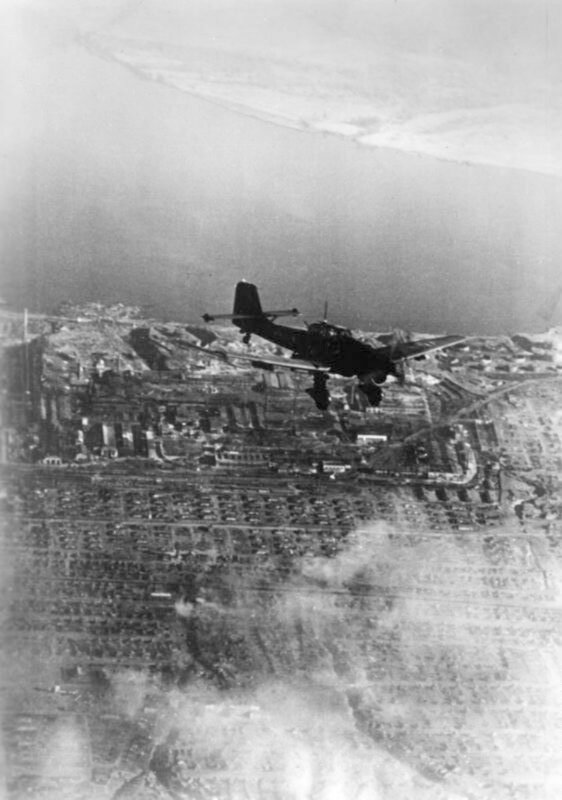 Overhead, German pilots were shooting down one Soviet plane after another. That night Zaytsev's division, the 284th Rifle Division, was ferried across the Volga into the flaming ruins. 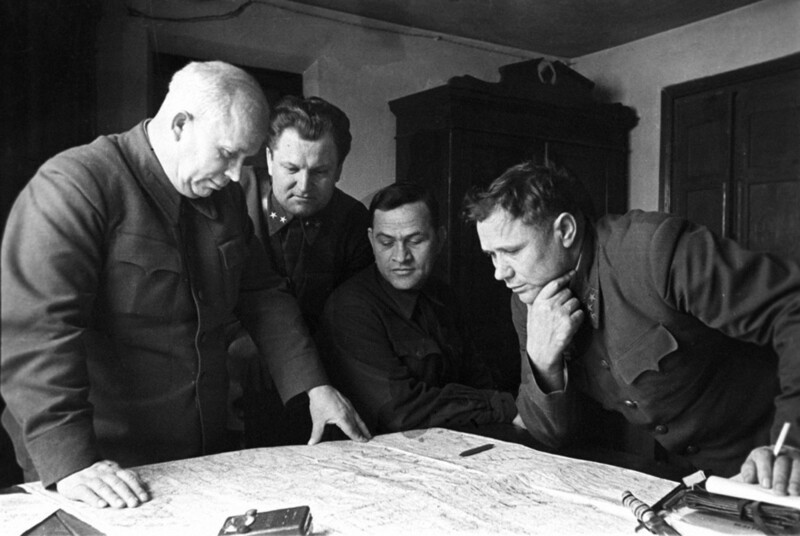 His division was sent immediately into the battle for Mamayev Hill, the most hotly contested patch of Stalingrad. For the next four months, both sides would battle for control of the hill. During the battle for Mamayev Hill, an enemy bunker protected by snipers was holding up Soviet attacks. A superior ordered Zaytsev into the battle, telling him to take two snipers. At they neared the location of the bunker, shots suddenly rang out forcing the trio on their stomachs crawling back to their own lines. Zaytsev and his comrades would attempt to approach the bunker for the next five hours with similar results. Their attempts gradually revealed the enemy sniper to be located somewhere far on the back side of the bunker. Grabbing a trench periscope, Zaytsev scanned the battlefield as the Soviet infantry charged the bunker, which was putting up a lethal wall of machine-gun fire. The German sniper, perhaps assuming he had killed Zaytsev and his comrades rose up into view. Zaytsev immediately shot and killed the sniper. Zaytsev then continued on and went for the machine-gunners in the bunker, suppressing their automatic fire. Afterward, the Soviet infantry took the bunker without losses. So began the legend of Vasily Zaytsev, by late February 1943, he was at the Kremlin accepting the Hero of the Soviet Union, his nation's highest honor. 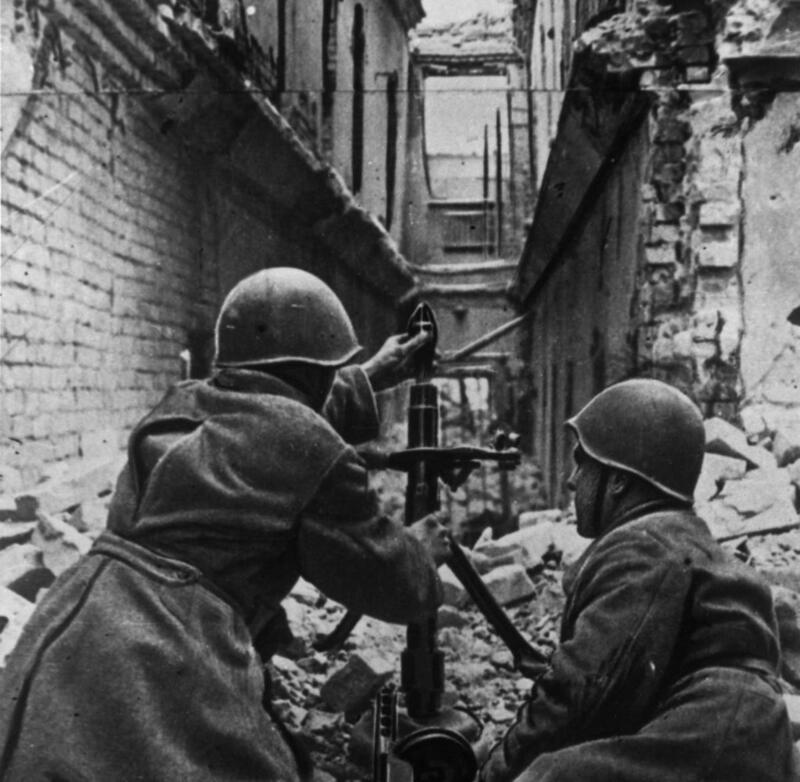 In the course of the battle for Stalingrad, Soviet snipers would kill over 10,000 German soldiers, but the numbers don't show the psychological impact they had on the battlefield. German veterans of Stalingrad described shots coming from behind stumps, from out of pipes, and from beneath the corpses of fallen soldiers. With no end in site, the German Army began transferring heavy artillery to Stalingrad, in an effort to pound the Soviet forces into submission. Dora was the name of a German 80cm railway gun used in the battle for Stalingrad. It was developed in the late 1930s by Krupp as siege artillery to destroy the main forts of the French Maginot Line, the strongest fortifications in existence. The fully assembled gun weighed nearly 1,350 tons, and could fire shells weighing seven tons to a range of 29 miles. It was the largest-caliber rifled weapon ever used in combat, the heaviest mobile artillery piece ever built in terms of overall weight, and fired the heaviest shells of any artillery piece in the Second World War. The Dora was destroyed near the end of the war to avoid capture by the Red Army. Hitler would order Stalingrad carpet bombed. 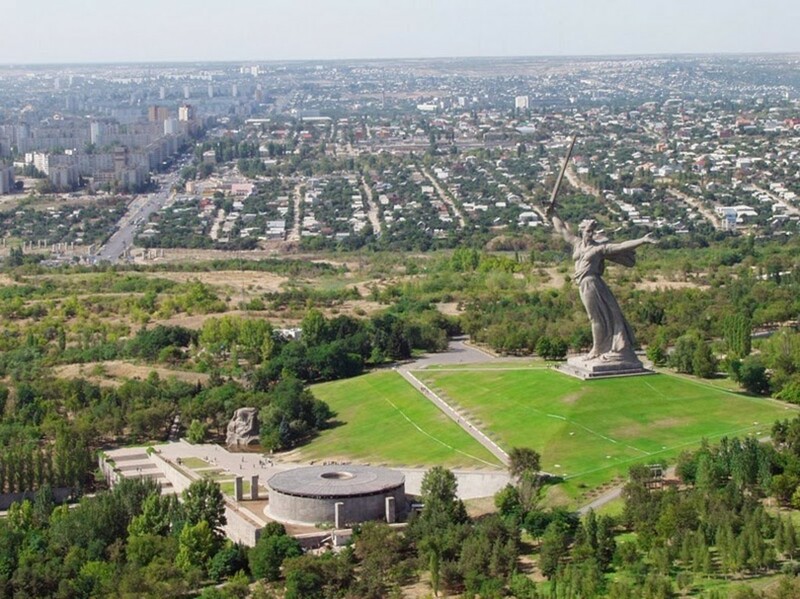 When forces of the German Sixth Army launched their attack on the city center of Stalingrad, on the 13th of September 1942, Mamayev Kurgan was the scene of particularly fierce fighting. 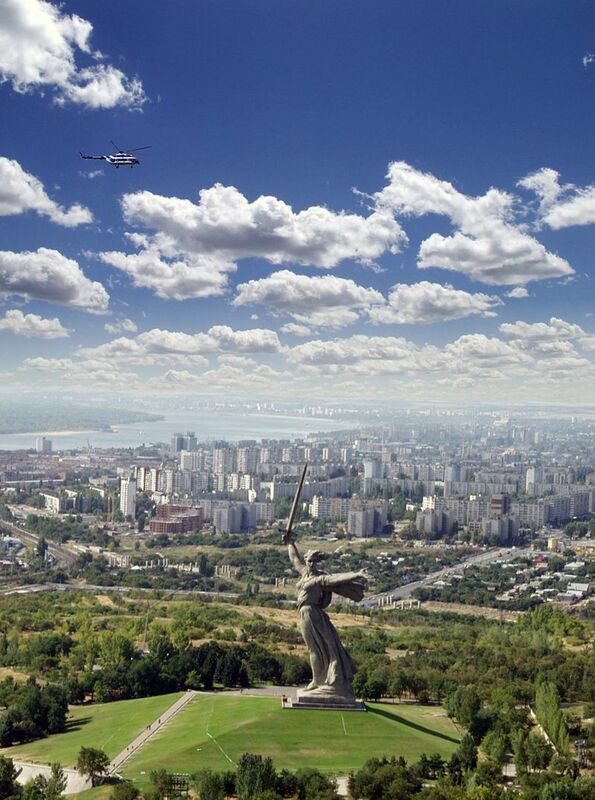 Control of the hill became vitally important, as it offered a commanding view over the entire city of Stalingrad. Soviet troops, workers, old men, and the women and children were at work preparing strong defensive lines on the slopes of Mamayev Kurgan containing trenches, barbed-wire, and minefields reminiscent of the Western Front during the First World War. 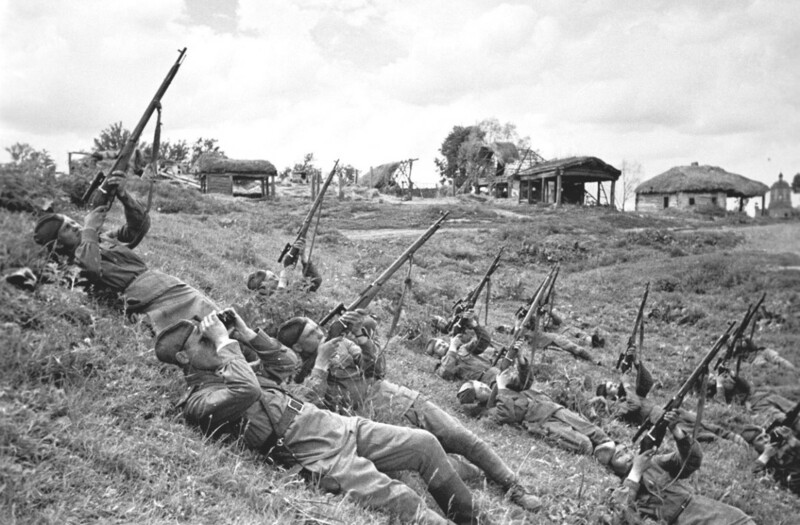 On the morning of September 10, 1942 on Mamayev Kurgan activity was feverish. 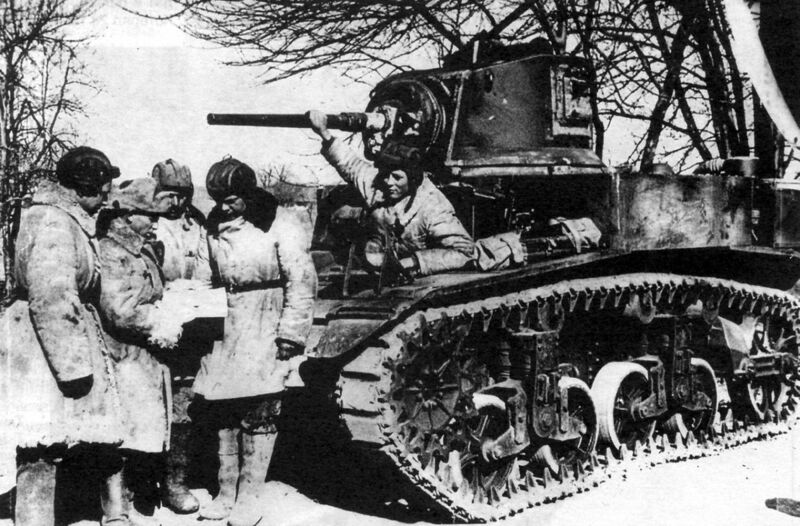 Men and women dug tank traps across all roads leading into Stalingrad from the west. Buildings on the outside of town were occupied and organized for all-round defense. Gullies and the Tsarista River that sliced through Stalingrad to the Volga was mined. 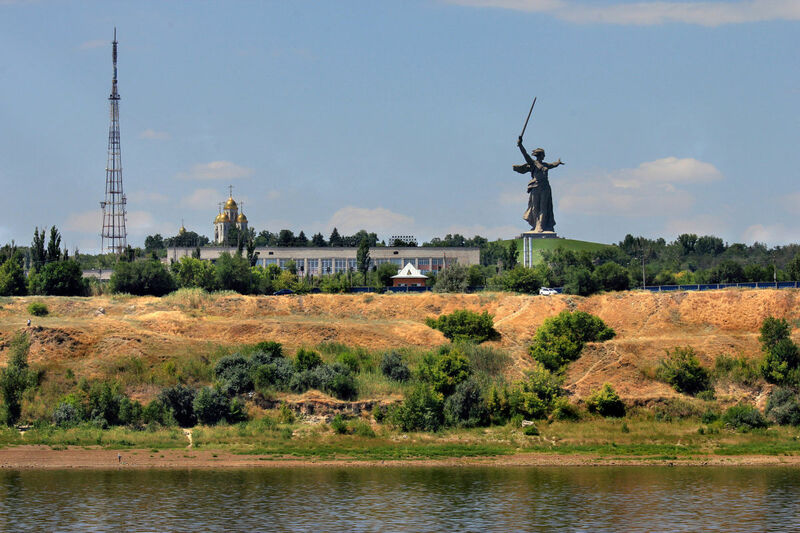 The Tsarista, like Tsaritsyn as the city was called before it became Stalingrad in 1925, was named not for the tsars but by ancient Tartars who called it the Yellow River as they did the old site of Stalingrad which they named Yellow Island. 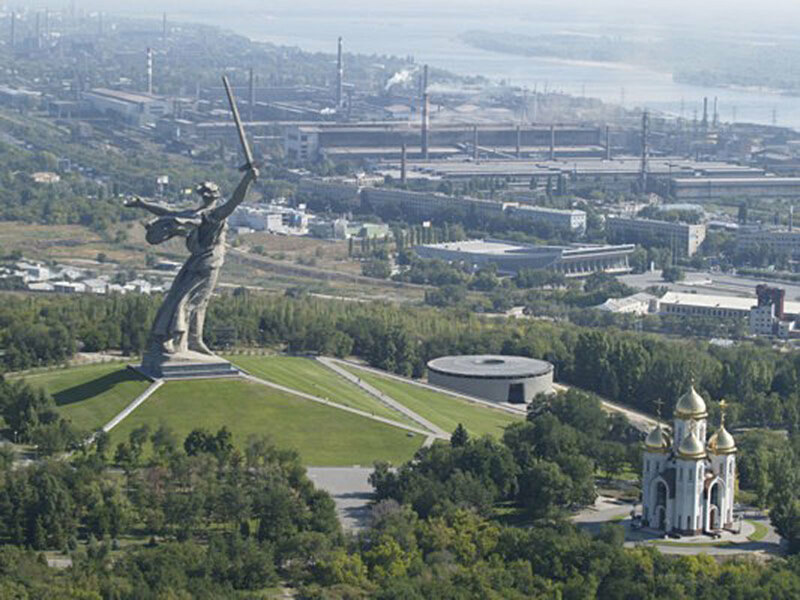 As it flowed to the Volga the Tsarista divides old or lower Stalingrad from the new or upper part of town. There was movement everywhere. Surprisingly, the not-a-step-back directive had something of a calming effect upon Stalingrad's population. Veterans and recruits were told and believed that what was coming was the decisive struggle, which would determine whether the war would be won or lost. Thursday, September 12 ,1942, was a day of preparation and expectation in Stalingrad. Young boys left orphaned in the bombing or lost, attached themselves to combat companies and did whatever the soldiers let them do. 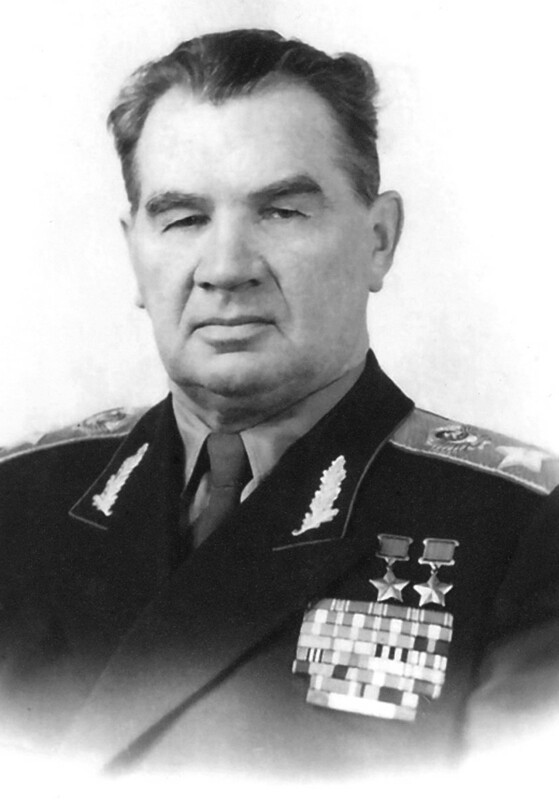 On the following day, General Vasily Chuikov was given command of the 62nd Army the main force defending Stalingrad, he would become the army's fourth commander in two months. He was given command of the defense of Stalingrad just as the battle reached its most spectacular stage. Chuikov allegedly declared, "We shall hold the city or die here." Soon afterward the assault on the city would began sending shock waves of explosions along the crater-pitted top of Mamayev Kurgan. German shells and bombs churned the Kurgan, a major objective. Everywhere throughout the city Red Army commanders called for help. The only answer was to stand to the end. German forces were able to capture the hill only after taking very heavy casualties. Much of the fighting was at close quarters, with bayonets and hand grenades. Once they captured the hill, they started firing on the city center of Stalingrad, as well as the main railway station under the hill. That same day, the Soviet 13th Guards Rifle Division arrived in the city from the eastern shores of the Volga River under heavy German artillery fire. The division's 10,000 men immediately were rushed into the battle for Mamayev Kurgan. 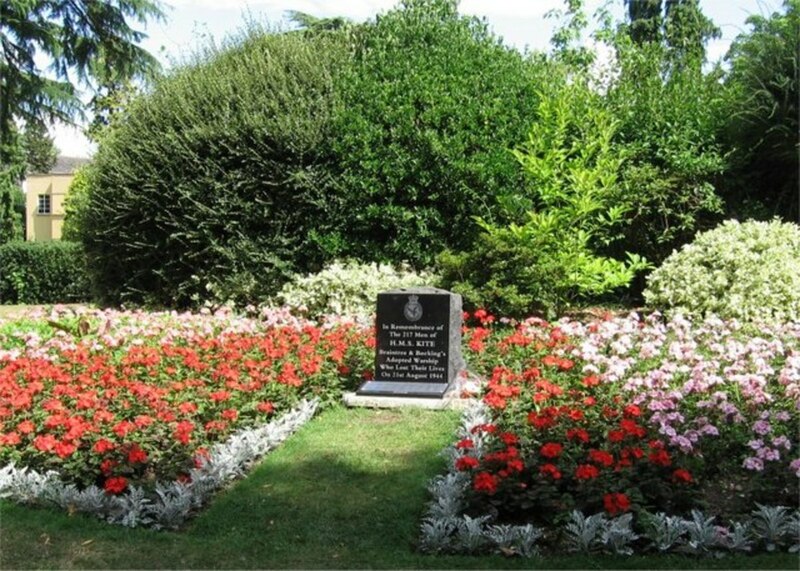 On the 16th of September 1942, they recaptured the hill and kept fighting toward the railway station, before the day ended most all of them had died. Soviet forces would hold onto the slopes of Mamayev Kurgan until the German forces surrendered control of the city in February 1943. The crippling blow fell on the Sixth Army on the 19th of November 1942, when the Red Army unleashed a massive counter-attack of more than a million fresh troops and 900 tanks in a large pincer movement to surround Stalingrad, code named Operation Uranus. On the 23rd of November, Russian spearheads met at Kalach closing the trap around the Sixth Army sealing the fate of more than 300,000 German troops left fighting in Stalingrad. 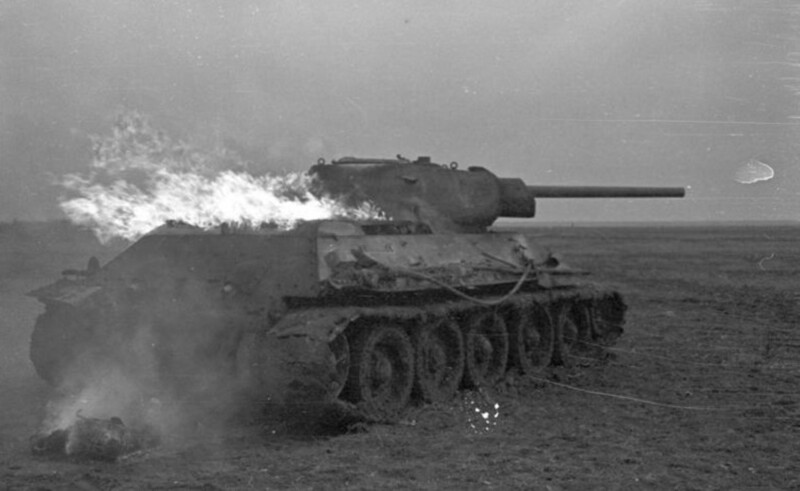 One reason for the Red Army success was that some attacks fell on areas held by Germany's allies. 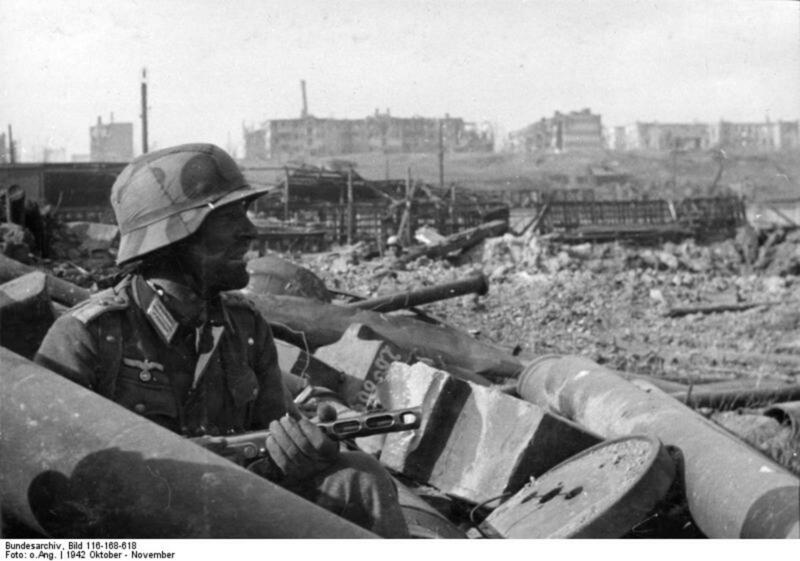 Due to a lack of resources Hitler's generals had used their allies armies to hold the flanks around Stalingrad. 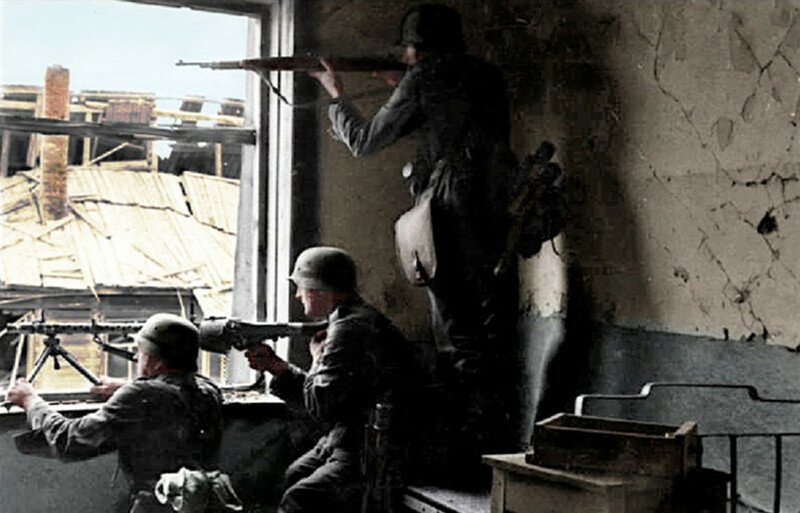 German troops were used as the tip of the spear in the attack on Stalingrad. The Third and Fourth Rumanian Armies and the Italian Eight Army were powerful on paper, but lacked the fighting spirit and equipment of German soldiers. Soon they were overwhelmed by the Red Army's tidal wave of tanks and troops and were in full retreat. 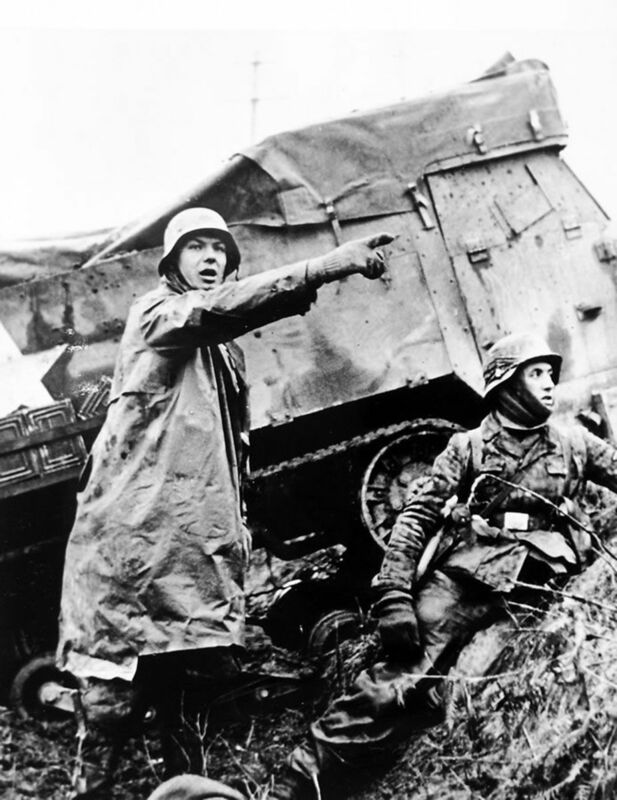 Under front-line pressure few of Germany's allies could match the fighting qualities of German troops. This lack of support was an important factor in sealing the destiny of the Sixth Army. 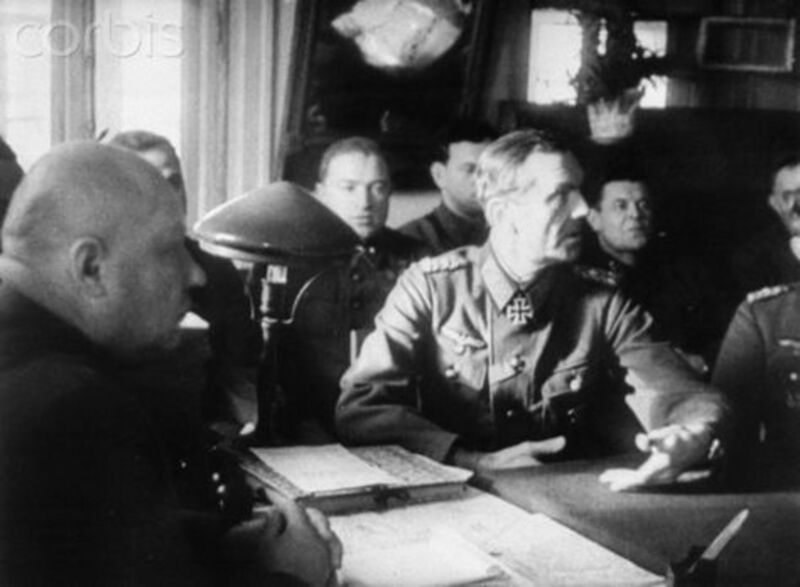 Paulus requested permission to break out of the Red Army trap, but Hitler refused. The head of the Luftwaffe, Herman Goring, pledged to supply the Sixth Army by air. 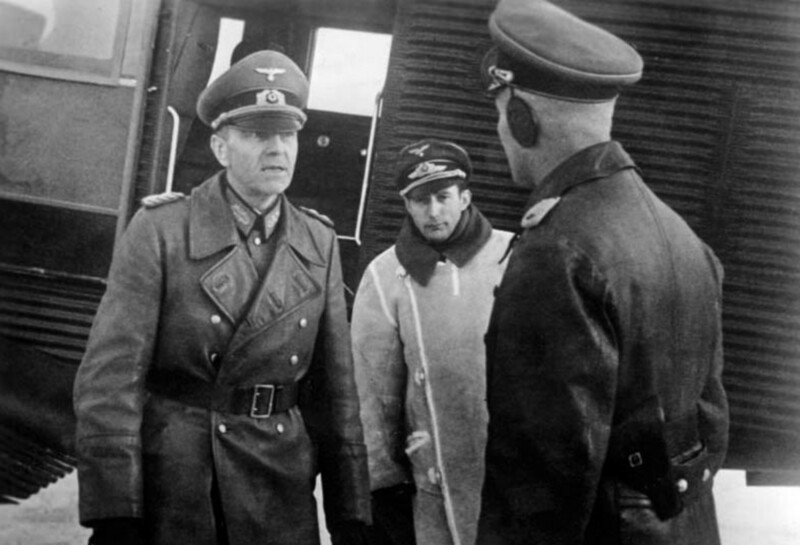 Hitler ordered Field Marshal von Manstein to prepare a counter-attack to relieve the German troops trapped in Stalingrad. Operation "Winter Storm," which opened on December 12,1942, needed to cover about 60 miles to reach the desperate Sixth Army soldiers. The attack was stopped 35 miles south of Stalingrad when Stalin launched his offensive code-named "Little Saturn," threatening the entire German front in southern Ukraine. "Winter Storm" was the Sixth Army's last hope. The Luftwaffe barely managed to land one-third of the supplies required and from January 10,1943 onward the German position was increasingly constricted by Operation "Ring." German forces were now trapped in a pocket which would become known as the "Kessel," the German word for cauldron, a frozen killing ground where temperatures would drop to -58 Fahrenheit. The cold would now become the German soldier's greatest adversary claiming more lives than enemy action. 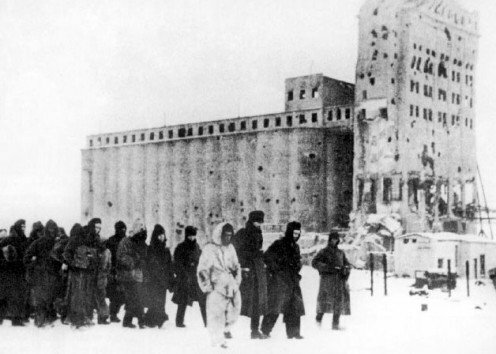 German soldiers and Soviet citizens left trapped in Stalingrad had to resort to cannibalism to survive as the noose tightened around frozen ruins of the city . All that was left to eat in the "Kessel" were the dead . The only way out of the "Kessel" was surrender or death. 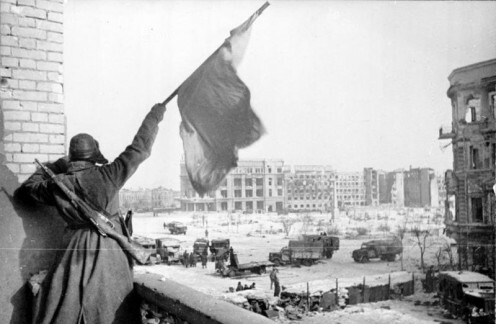 After five months of horror the battle for Stalingrad would finally end on February 2,1943. The Kessel the Sixth Army graveyard. Once captured by Soviet forces on January 31st, 1943, Field Marshal Paulus became a propaganda piece for Stalin until the war ended. After his release from captivity in 1953, he would live in Dresden, East Germany. In late 1956, he was diagnosed with Lou Gehrig's Disease and died 3 months later in Dresden, on the 1st of February 1957, 14 years after he surrendered the Sixth Army to the Red Army at Stalingrad. He was buried next to his wife in Baden, West Germany, whom he had not seen since the summer of 1942 when he left to meet his fate at Stalingrad. 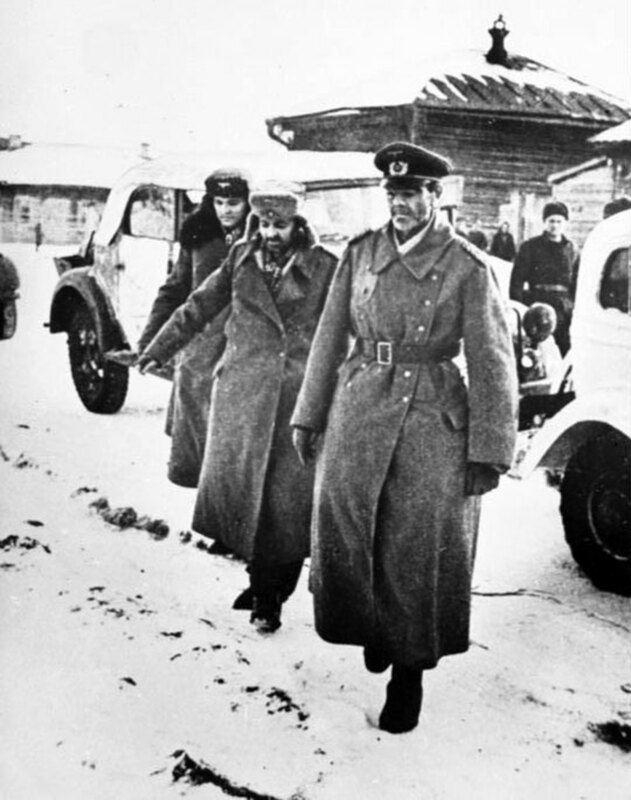 After six months of battle in Stalingrad the Sixth Army was surrounded and forced to surrender on February 2nd 1943. 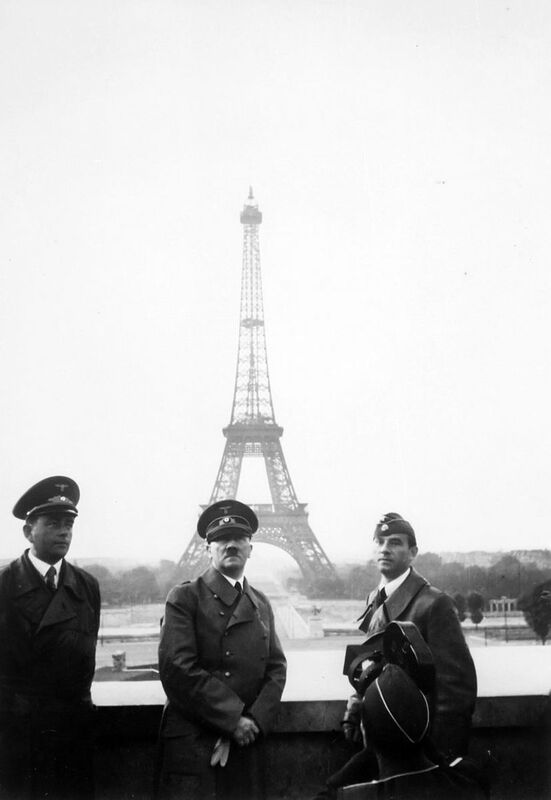 The defeat at Stalingrad took away Hitler's dream of a global empire. He had decided that Stalingrad must be taken at all cost for the sake of prestige. 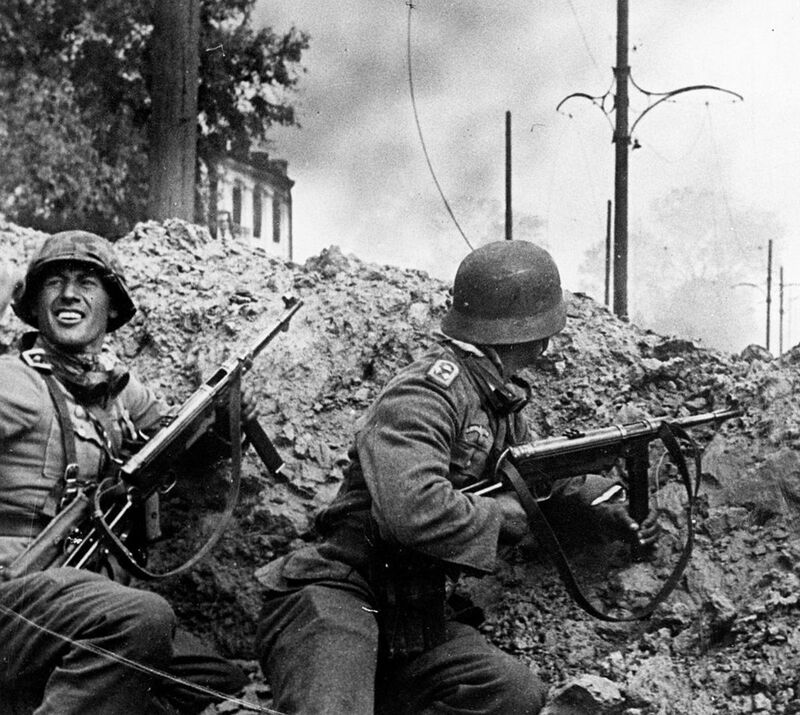 The German Army would lose over 400,000 troops in the battle for Stalingrad. To give a comparison the U.S. Army lost 416,000 troops in the entire Second World War. 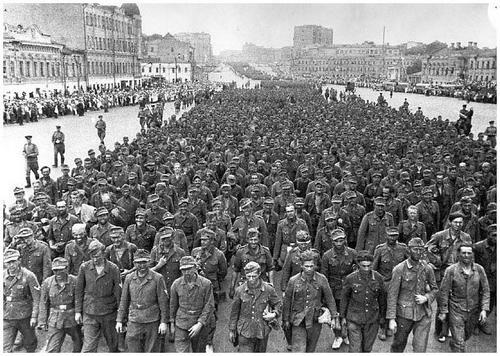 Over 91,000 German soldiers surrendered to the Soviets at the end of the battle, only 6,000 of them would return home to Germany . 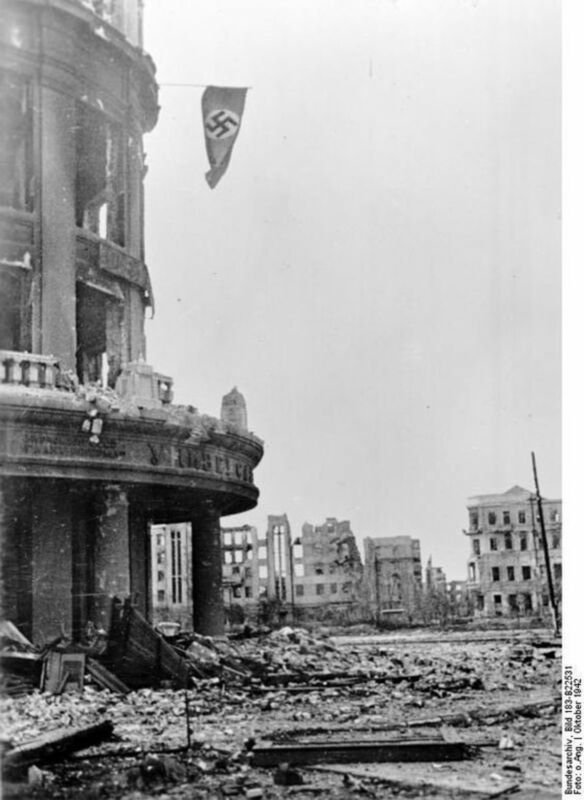 After Stalingrad the German Army would lose its aura of invincibility. 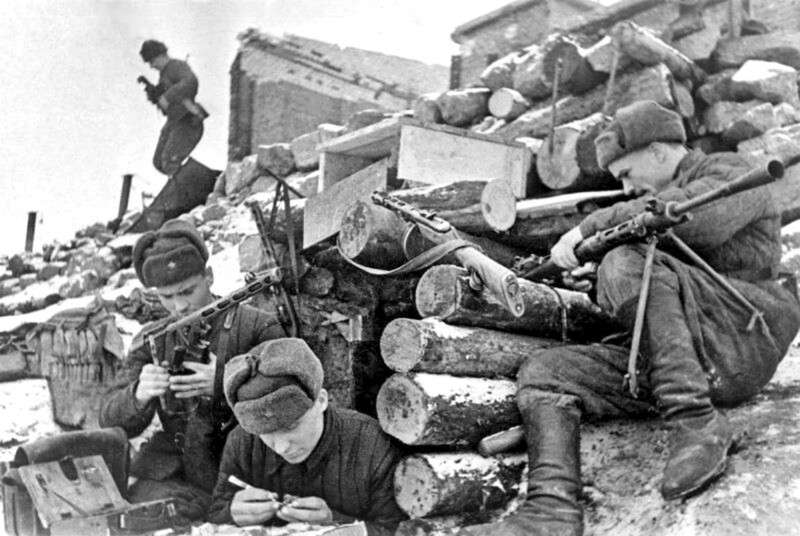 Russian historians estimate over one million Soviet soldiers died in the six months defending Stalingrad. So great were Soviet loses, the life expectancy of a newly arrived Red Army soldier was less than a day. Stalingrad was the ultimate killing ground of the Second World War in fact in the history human conflict. Ray, John. The Illustrated History of WWII The Orion Publishing Group Ltd. Orion House 3 upper Saint Martin's Lane, London WC2H 9EA 2003. 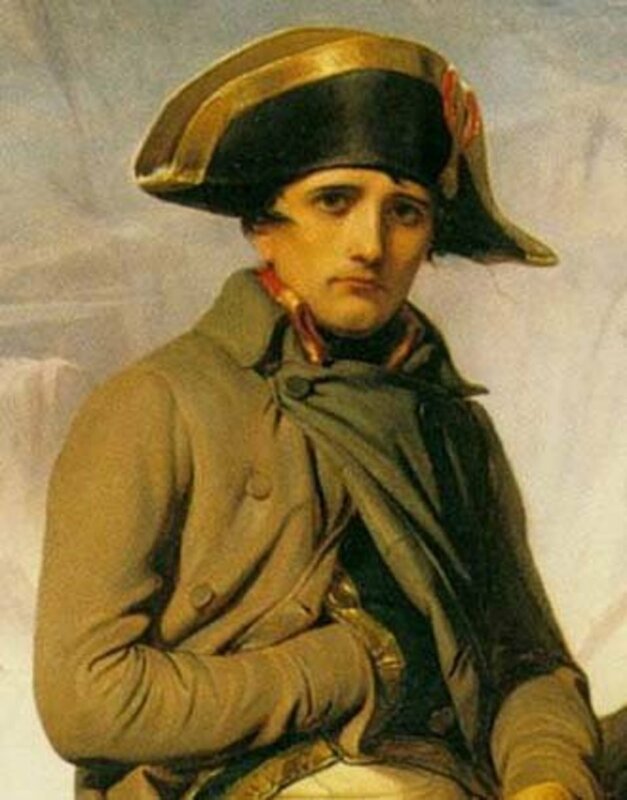 If you start fighting Russia in July, you better be done before December, Napoleon and Hitler made the same mistake. This article doesn't mention how many German soldiers died of frostbite, but it was a lot. Thankfully, Hitler was foolish and led his Army to disaster. But the one horrible thing that Paulus did in captivity was give false hope to the families of his fallen soldiers. 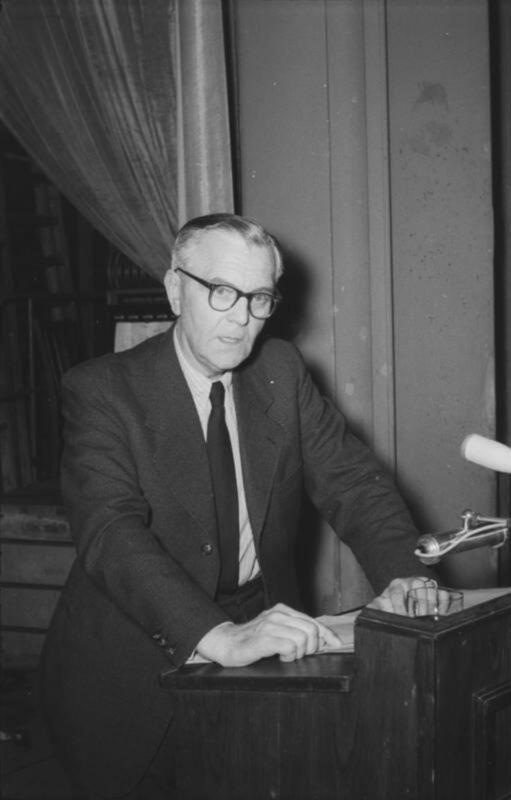 By the ealry 50s, he was well aware that most had died. Yet he continually stated that they were alive and well in the camps when asked about their fate.